I first heard about Settlers of Catan a couple of years back, when my sons had played it at a friend’s house. They really enjoyed it, so I purchase a copy for our family vacation. After one game, we were hooked. The whole family now plays including our extended family. What makes Catan so enjoyable? The rules are relatively straightforward, almost anyone can win any game, up to 6 people can play at a time, and you have to interact with the other players. 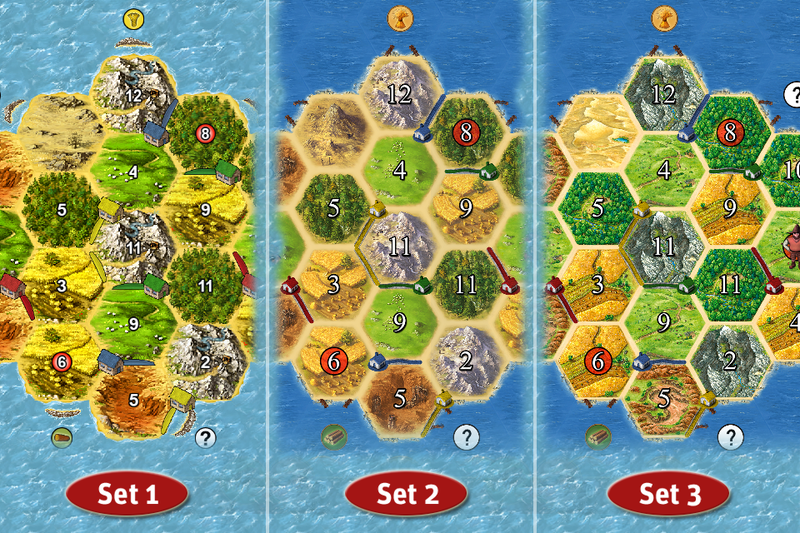 Catan has been out for iOS for some time now and is even available for Android devices. I have played the Android version but have never had a chance to try the iOS version until now. The goal of Catan is to dominate your island, either by having the most knights, longest road, most settlements or cities. You do this by acquiring or trading resources: wood, sheep, ore, clay. The iOS version of the game is very true to the board game, so if you have played before you should not have any trouble getting into the game. The game is broken into two sections: Campaign of Custom Game. To play campaign you need to purchase one or both of the expansions. 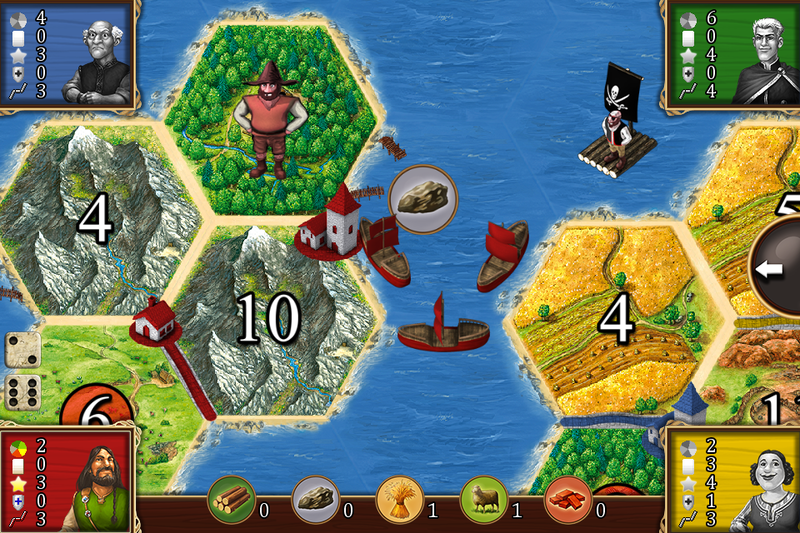 The two expansions are Seafarers and Cities and Knights. Each expansion is $4.99 USD and independent of the other. When you do purchase an expansion, you until a number of maps and scenarios you can play in the custom game area. In the custom area, you can create a game, continue a game, or watch the tutorial. The tutorial is broken up into different aspects of the game so you can focus on just the parts you want/need. There is also an Almanac with terms and definitions for you. When you start a custom game, you can choose from a number of different scenarios, each gives you the keys to victory and a general layout of the map. As I mentioned earlier, many of the games are part of the expansions, so you will need to purchase them to unlock. There is a lite version of both expansions present when you purchase Catan, so you can get a favor of what they are like. After you chose the scenario, you can modify a few other options like, number of players, human or AI, victory points, dice mode, robber mode, etc. You can do multi-player on the same device. There has been some talk about online multiplayer but not sure its status. You also can only save 1 game at a time and there are no profiles. So how is the game? Great. It plays well on the iPod Touch 5th Genertion. The graphics are sharp and the game board is very easy to view (pitch to zoom) and the menu items do not take up that much space. After playing a couple of rounds, you will get the different buttons down. Gameplay is smooth and overall, I think the game is a bit harder than the board version because I find it difficult trying to remember of keep track of the other players resources. Retrobot is the latest game by Endeavor Bros and it costs $0.99 in the App Store. The story behind the game is based in 2025 where robots are doing all the tasks humans don’t want to do. As you’ve probably guessed, things start to go wrong and these robots take control of the world. You play as Retrobot who is the hero of the story and is out to find his master, Spencer. Retrobot isn’t alone in his task as he’s accompanied by Spencer’s pet monkey, Toto. Together they roll through the world, shooting through evil robots in trying to find their master. You see this story unfold in the form of comics between levels. If you’re the type who doesn’t have the time for story lines and just wants to get stuck into the gameplay you can turn the comic updates off. Controlling Retrobot is easy as all you can do is move forwards, backwards and shoot your weapon in nearly all directions. While roaming through the streets looking for Spencer you encounter various robots that are all trying to attack you. Shooting them down sometimes results in bonuses that help you along. You can get health boosts, shields and upgraded weapons. The upgrades and health boosts come in handy as you often find that you’re being attacked by a few robots at the same time, some flying and some on the ground. There are 5 different worlds you need to work through and at the end of each one you encounter a boss. Boss levels are what you’d expect them to be. You’re up against a huge boss robot and you have to move around to avoid their attacks while you try and shoot them down. The gameplay is really easy to get the hang of and it’s not too easy or too hard so can quickly get addictive. The story and general randomness of Retrobot is what makes this a truly interesting game. It costs $0.99 and you can get it for your iPhone, iPod touch or iPad here. Neptune Interactive & Forest Moon Games have just released a classic scrolling shooter called JAM: Jets Aliens Missiles. When you get started you go through a tutorial so you can learn how to destroy your enemies effectively. It’s a pretty simple game to get the hang of to you’ll get started in no time. Entries (RSS) | Comments (RSS) | 90 queries in 0.565 seconds.